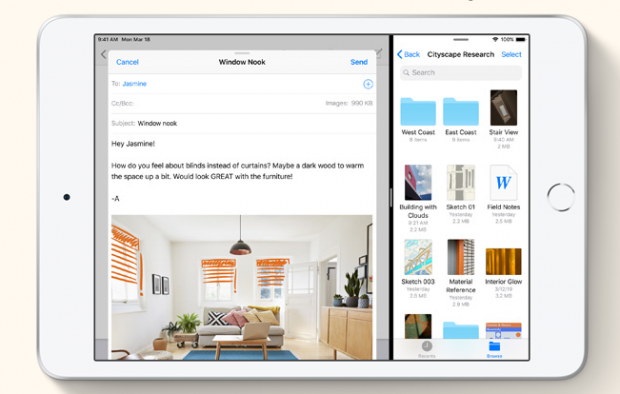 Apple Inc. is introducing two new iPads to its product line with today’s launch of the iPad Air (starting at $649) and iPad Mini (starting at $529). Both models will be available in both a Wi-Fi and cellular version and will feature the A12 Bionic chip equipped with Apple’s Neural Engine, the advanced Retina display with True Tone technology, and compatibility with the Apple Pencil, although that is sold separately. The major difference between the two models will be the screen size, with the Air boasting a 10.5 inch screen and the Mini featuring a 7.9 inch screen. The A12 Bionic chip with Apple’s neural engine has been designed to power the next wave of apps; using machine learning and Core ML to provide augmented reality, photo-realistic effects in 3D games and an upgraded capacity for graphics performance within apps. 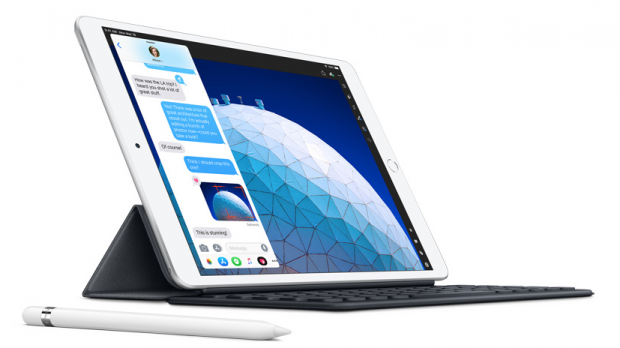 On top of the Wi-Fi performance and Gigabit-class LTE connectivity that consumers have experienced with the more advanced iPad Pro models, these models will come equipped with eSIM technology, allowing users who travel often to easily connect to wireless data plans in over 180 countries. Additionally, both models will feature upgraded front-facing and back-facing cameras, allowing for clearer photos and 1080p HD videos and upgraded low-light performance. Both models are available for order starting today in Australia, Austria, Belgium, Canada, Czech Republic, Denmark, Finland, France, Germany, Hong Kong, Hungary, Ireland, Italy, Japan, Luxembourg, Netherlands, New Zealand, Norway, Poland, Portugal, Singapore, Spain, Sweden, Switzerland, the U.A.E., the U.K., and the U.S. from Apple.com, the Apple Store app, and Apple Stores, as well as Apple Authorized Resellers and a selection of carriers. Starting next week, they will also be available for order in China (Wi-Fi model only), Macau (Wi-Fi model only), and Mexico; with other countries and regions to be announced soon. Both models will be available in silver, space grey, and gold finishes as well as 64 GB and 256 GB configurations.